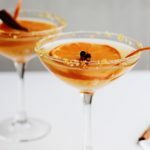 Spiced Honey Orange Margaritas, made with tequila and Agavero, is a lovely fall-inspired drink that’s sweetened with a spice-infused honey simple syrup. Tequila has always been my libation of choice. Whether it’s a punch bowl-sized margarita for a Taco Tuesday party or a simple Tequila Spritzer, you can never really go wrong. 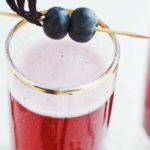 While I love margaritas in the summer (especially of the frozen variety), it’s a great cocktail year-round. 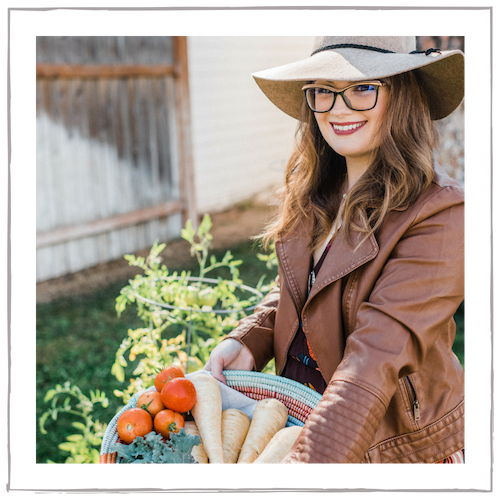 And if you want to bring a little fall inspiration to your next taco night, I have the perfect thing. 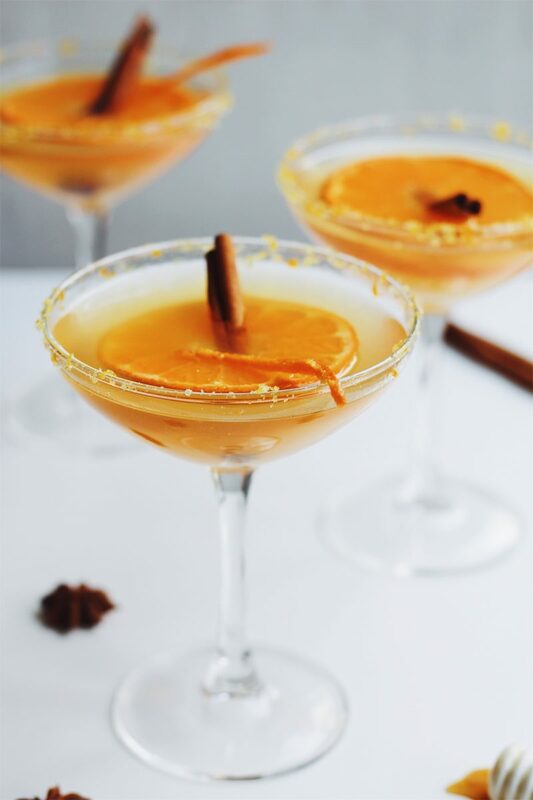 Spiced Honey Orange Margaritas are a unique spin on a classic, made with fresh citrus and honey simple syrup that’s infused with warm autumn spices. 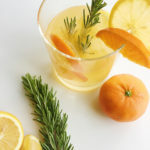 Honey and citrus are a match made in heaven. 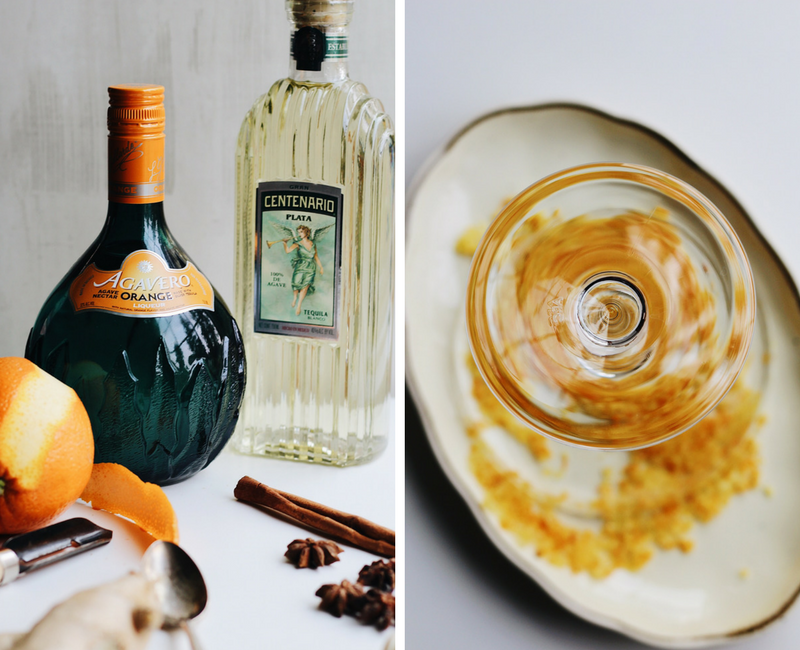 The floral notes in honey pair lovely with this spiced margarita. 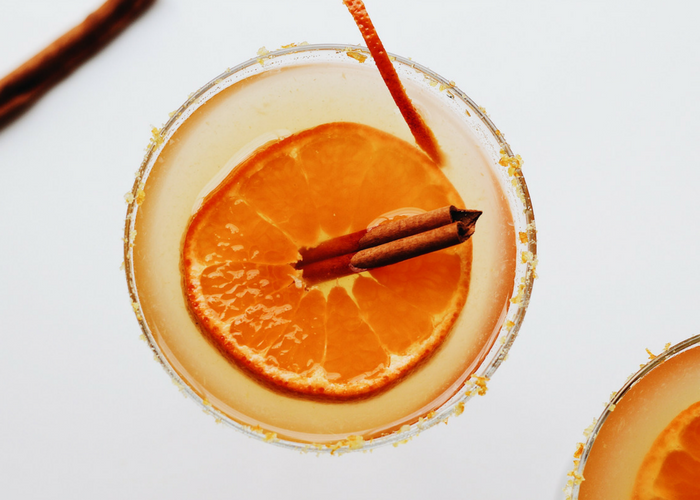 For these Spiced Honey Orange Margaritas, we make a simple syrup that’s laced with honey, orange zest, star anise, fresh ginger, and cinnamon. The syrup adds sweetness to the margarita that’s balanced by warm, fragrant spices. 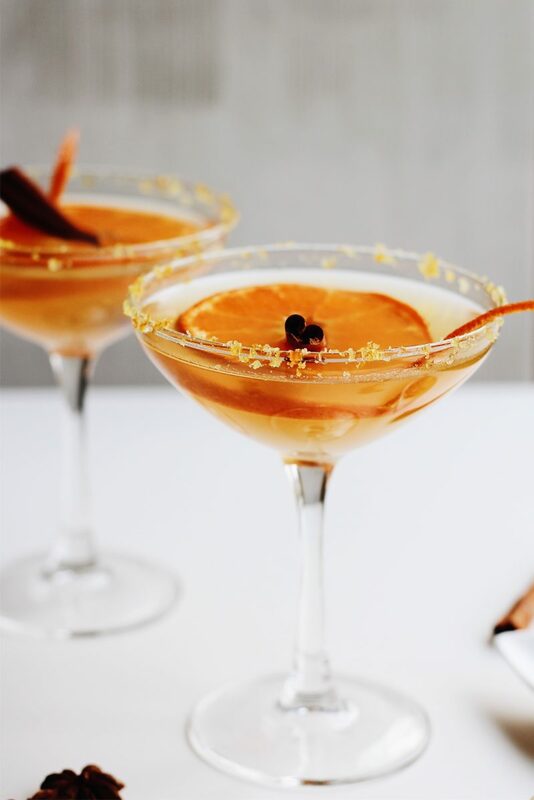 A simple garnish of an orange slice and cinnamon stick makes this peach-hued cocktail just scream fall. To rim the glasses, I choose both pink Himalayan sea salt and sugar. The sweet-and-salty blend is infused with orange zest, which gives the margarita a pretty hint of coral shimmer. 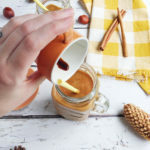 This would also make a perfect Halloween party cocktail! And the star of the Spiced Honey Orange Margaritas is, of course, the tequila and orange liqueur. My spirits of choice are Gran Centenario tequila and Agavero Orange. 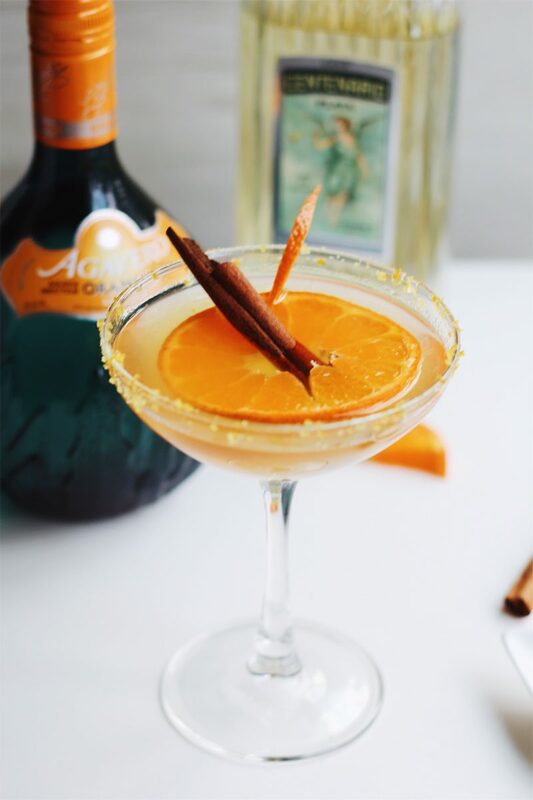 Agavero Orange is a silver tequila based liqueur that is the perfect component to your margaritas. Made with 100% blue agave tequila and infused with orange and pure agave nectar, it’s the secret ingredient in these spicy, floral margaritas. 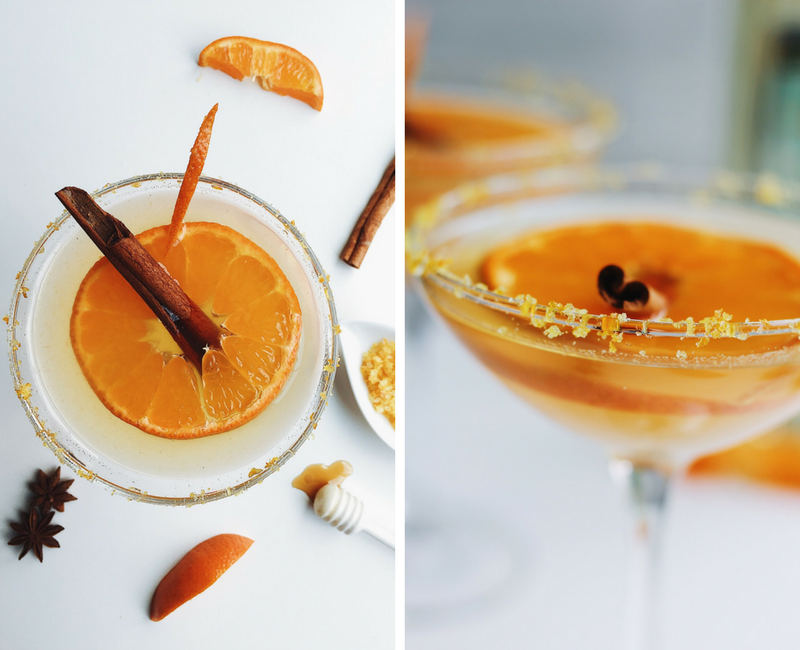 I hope that you make and enjoy these Spiced Honey Orange Margaritas! 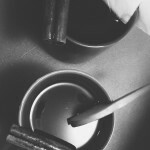 Check out Agavero’s website for even more cocktail inspiration. What’s your favorite spin on a margarita? Let me know in the comments below! Make the Spiced Honey Syrup. 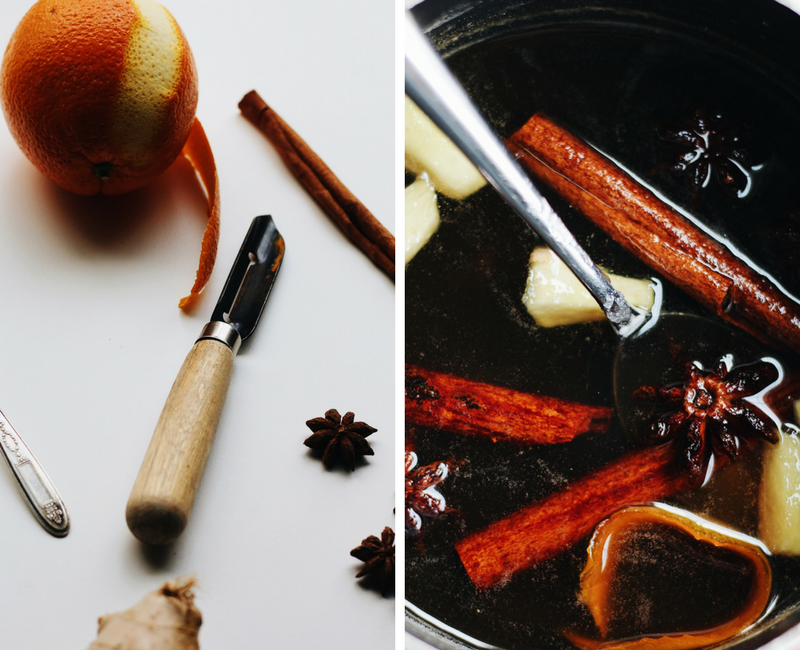 In a small saucepan, combine the water, honey, sugar, star anise, cinnamon, sliced ginger, and orange peel. Bring to a simmer. Simmer one minute and remove from heat. Let cool completely. Store in a mason jar in the refrigerator overnight to infuse, then strain the syrup through a fine mesh strainer. 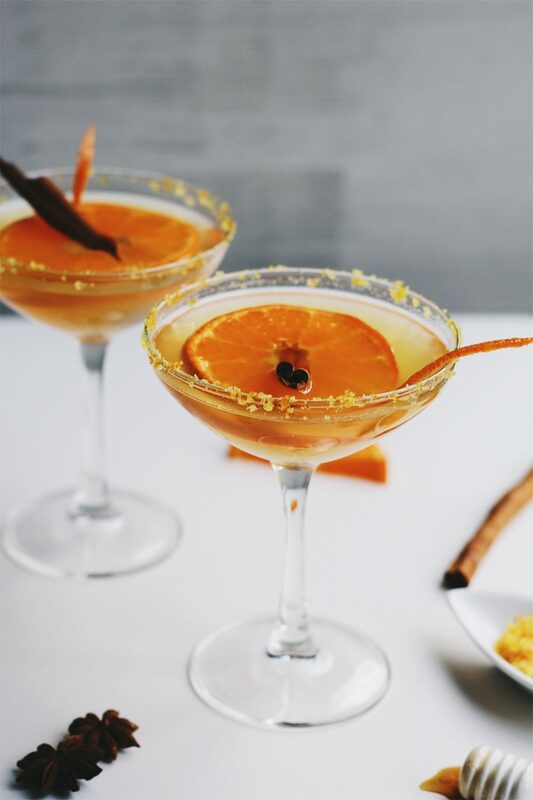 Make the sweet-and-salty orange rim. Combine the sea salt, sugar, and orange zest. Muddle together and spread out on a small, shallow dish. 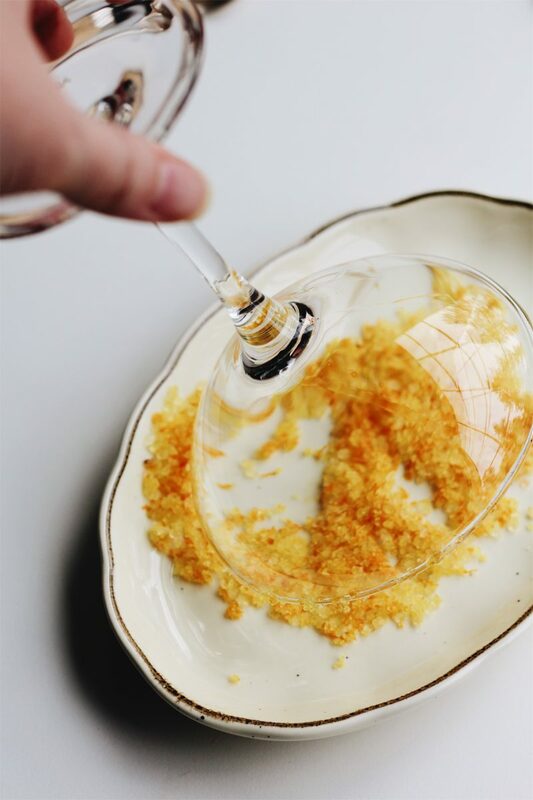 Rim the edge of a margarita or coupe glass with a slice of orange to wet, then dip the edge into the sugar to coat. Make the cocktail. 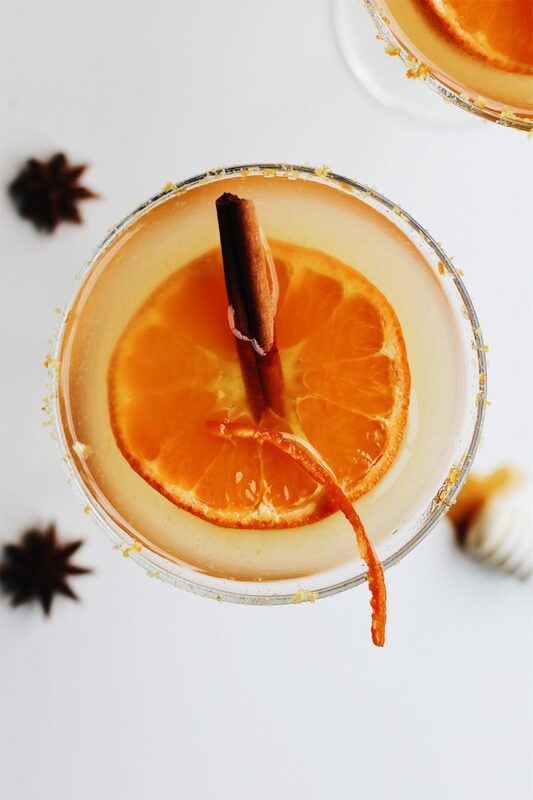 In a cocktail shaker, mix the tequila, Agavero, fresh lemon and orange juice, and Spiced Honey Syrup with ice. Shake and strain into the rimmed glasses. 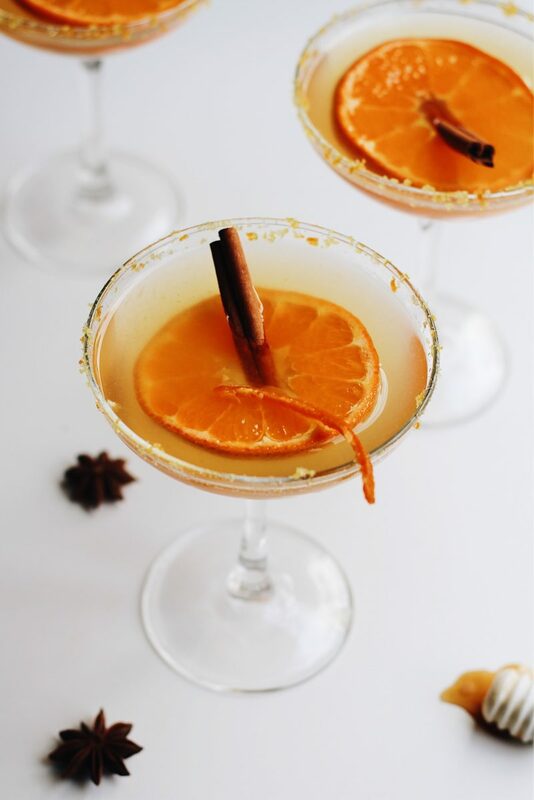 Garnish with orange zest, an orange slice, and a cinnamon stick. Enjoy! Leftover Spiced Honey Syrup can be kept in the fridge (strained) for 2-3 weeks. 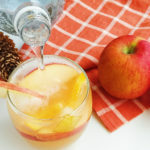 Use it for other cocktails, iced tea, or in desserts! Wow this looks so pretty! Do you have a non-alcoholic version? 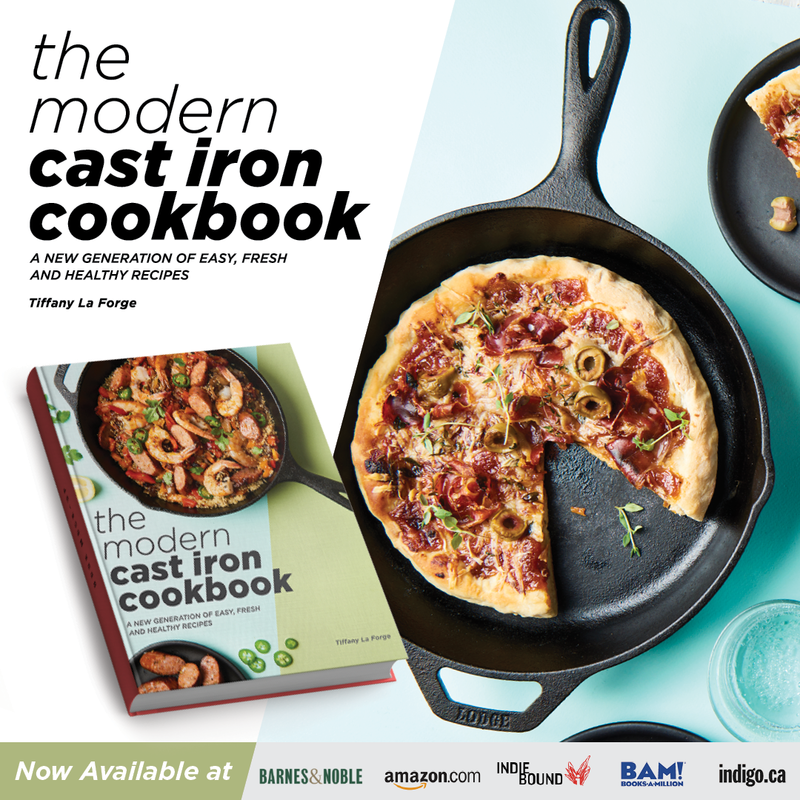 What a way to celebrate the flavours of fall. 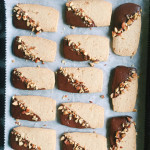 These would be perfect for a party….like Halloween!! Fun and delicious. Thank you, Gloria! I am also loving their orange color for a Halloween party addition!